LG's 4K Ultra HD TVs now come with a free six-month Netflix subscription | What Hi-Fi? 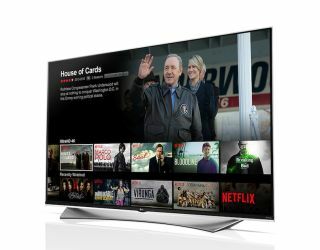 Starting from Thursday April 9th, LG is offering a free six-month Netflix Premium subscription for anyone buying one of its Ultra HD TVs in the UK. 4K content is still relatively thin on the ground, but Netflix (as well as Amazon Prime Instant Video) now has a growing catalogue of TV shows and movies at its disposal. A Netflix Premium account will get you access to a number of top TV shows, including House Of Cards, Breaking Bad, The Blacklist and Daredevil, all in glorious 4K. The Netflix promotion runs until July 29th, and is limited to the following LG Ultra HD TV ranges: EG960V, EF950V, EC980V, EC970V, EG920V, UF950V, UF940V, UF860V, UG870V, UF850V, UF830V, UF770V and JL9100. We've already experienced Netlix in 4K on LG's 55EG960V (pictured) and it's fair to say we were blown away by the picture quality.